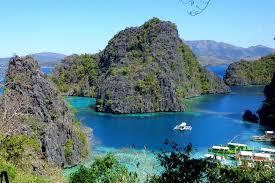 Coron is a popular destination because of it's scenic wedge shaped mountainous island,dominated by steep cliffs and Karst rock formation.Swim your way to the enchanting lakes and lagoons.Get thrilled and experience the dazzling marine life of coral reefs,colorful fishes and marine sanctuaries. Note:Package rate are net per person,minimun of 2 based on twin sharing.Peak Season surcharge will apply for peak dates.Rates are subject to change without prior notice and subject to room availability. Package rates are net per person, minimum of 2 based on twin sharing. Valid until 31 March 2018, Subject to change and room availability. Peak Season Surcharge will apply for peak dates.